Common Ground is a drama composed of three short stories set in the fictional town of Homer, Connecticut at different points in history. The script was written by Paula Vogel (“A Friend of Dorothy’s”), Terrence McNally (“M. Roberts”), and Harvey Fierstein (“Amos and Andy”). The film was directed by Donna Deitch. 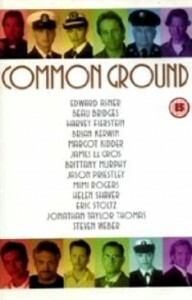 Common Ground premiered on Showtime in January 2000. It was released on VHS in January 2002 and has yet to be released on DVD. 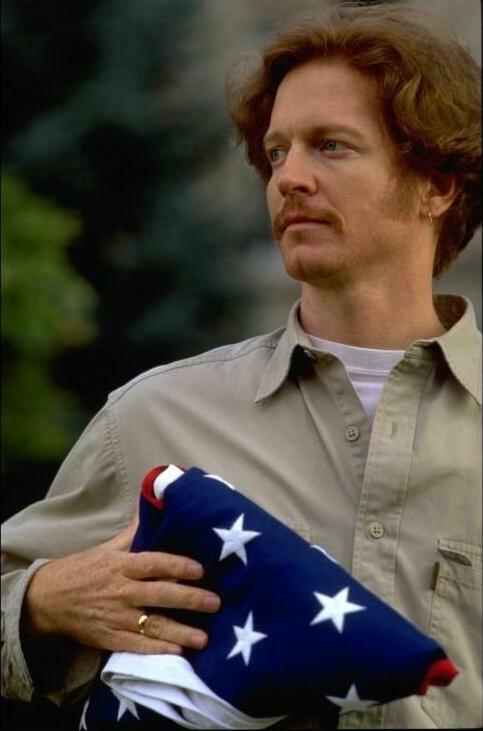 This movie contains three short stories dealing with the theme of homosexuality. In “A Friend of Dorothy”, a woman joins the Navy during the 1950’s and discovers lesbianism. In “Mr. Roberts”, a teacher in a 1970’s classroom struggles with his closeted gay status. Finally in “Amos and Andy”, a father wrestles with his own emotional acceptance of a present day wedding between his son and another man.